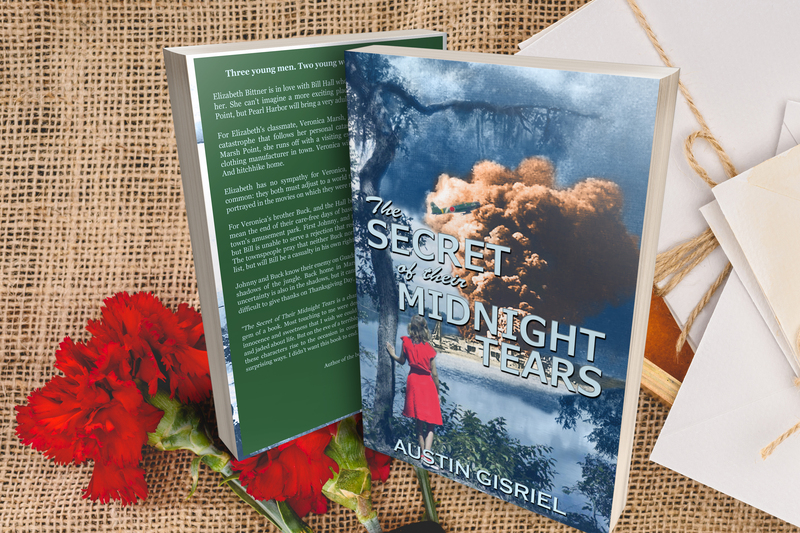 Austin Gisriel | The latest news and musings of Austin in his search for the next great story. Coming off a fun-filled, dance-filled weekend at York, Pennsylvania’s Valencia Ballroom, I was especially excited to receive this notice regarding Harlem’s famous Savoy Ballroom. Read on, even if you’re not a dancer because this is a story that will fascinate history lovers, tech geeks, and those with a love of tracking down the details of the past. Sharon Davis of DanceMad London, along with a team of other dancers and graphics experts have put together a project to recreate the interior of the Savoy Ballroom in virtual reality. The Savoy was the dance mecca of the East Coast in the late ’30s and early ’40s and remains its spiritual mecca today. Liking them on Facebook at Welcome to the Savoy, and subscribing to the updates from their website at www.welcometothesavoy.com will show potential sponsors that there is a real interest in the project. Interestingly, this is one cause that does not solicit donations, at least not at the moment. As a lover of swing dance, I ask you to view Sharon’s brief video regarding the project. I would bet that more “everyday” people have a connection to famous person than one might realize. After all, most famous people attend high school and college. They grow up somewhere, play recreation soccer, work at McDonald’s during a summer or two. A guy who was a year behind me at Loch Raven High School, John Kassir, went into acting, and is perhaps most famous as the voice of the Cryptkeeper, and Meeko in Pocahontas. He also won the 1985 Star Search competition for best comedian, beating out both Rosie O’Donnell and Sinbad. In fact, he has a very impressive list of television, film, animation, and video game credits. My personal connection to John is that we ran one year of indoor track together. And then, there was Ana Montes, who graduated with me in the Class of 1975. Ana Montes is currently serving 25 years at a Federal Penitentiary in Texas, although her crimes were so serious that she could have been sentenced to death. One very big reason that you probably have never heard of Miss Montes is that her arrest came 10 days after the attacks on the World Trade Center and Pentagon in 2001. In fact, it’s only been fairly recently that I heard about her traitorous activity, and only then as part of a Facebook discussion about people who attended Loch Raven High School. I don’t remember her at all, although the chances are strong that we had at least a couple of classes together, but there she is in my high school yearbook; a future Cuban spy whose “favorites” included summer, chocolate chip cookies, and having a good time with funny people. How did Ana Montes go from being such a typical high school girl to a Cuban spy? The same way the rest of us got from high school to wherever we are now I guess—a few big choices with many, many little choices along the way. Who are the famous people in your lives? The American League seems to be a pretty predictable affair. Both the Boston Red Sox and the New York Yankees will make the playoffs out of the AL East, and I see the Red Sox repeating as Division Champs. Boston has better starting pitching and their catchers can all catch, unlike Yankee backstop Gary Sanchez who cannot. My Baltimore Orioles could improve by 20 games and still lose 95, which seems to be impossible math, but it’s true. Nevertheless, I’ll make a bold prediction: The Orioles and Yankees play each other six times in the first nine games, and if the Birds can split those six (not impossible early on) the New Yorkers will be in chaos for the first month of the season with fans jumping into the East River and calling for manager Aaron Boone’s head before splashing down. The AL Central is a toss-up between Minnesota and Cleveland. Yes, I give the Twins an equal shot at the Division crown and if Jose Martinez is out for any length of time, the Twins are probably the favorites. The final wild card team, the Red Sox or Yankees being one of the first two, will come down to Minnesota or Cleveland, Oakland, and Tampa Bay. I’m going with Minnesota or Cleveland based on the fact that they have three very weak teams (Kansas City, Detroit, and Chicago) in their division, while the other two divisions only feature two weak teams. The National League, on the other hand, is totally unpredictable. I like Washington in the NL East, despite losing Bryce Harper to the rival Philadelphia Phillies, who will be in the mix for the division crown, along with the vastly improved New York Mets. Last year’s champs, the Atlanta Braves may well finish fourth, but then it would not be a total surprise for them to win the division, either. As for the Miami Marlins, they should have a Don Johnson Day at the ballpark and let it go at that. The NL West will be a shootout (can we still use the term shootout? 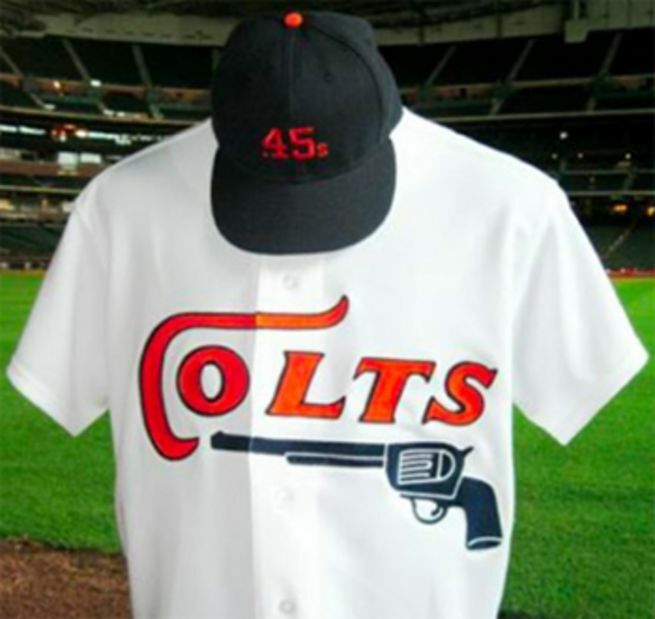 One of the best logos ever was the Houston Colt .45s, but I digress) between the Los Angeles Dodgers and the Colorado Rockies. If San Diego’s rookies take off behind newly minted Padre (operative word being mint, as in a depository for large sums of money) Manny Machado, then the Padres could surprise some people. I also predict that Manny will say or do something stupid, or both; and that will surprise no one. The battle for the NL Central will be at least as competitive and entertaining as the one for the NL East. There is not a bad-bad team in the entire Central and one could easily make a case for the Cardinals, Cubs, or Brewers capturing the division. I’m going with St. Louis because I think that Paul Goldschmidt, acquired from the Arizona Diamondbacks over the winter, will make that much of a difference. Because this division is so competitive, I don’t see either wild card emerging from the Central and that’s probably true of the East as well. Once again, I’ll go bold and predict the NL wild card winners will be the Rockies and Padres. 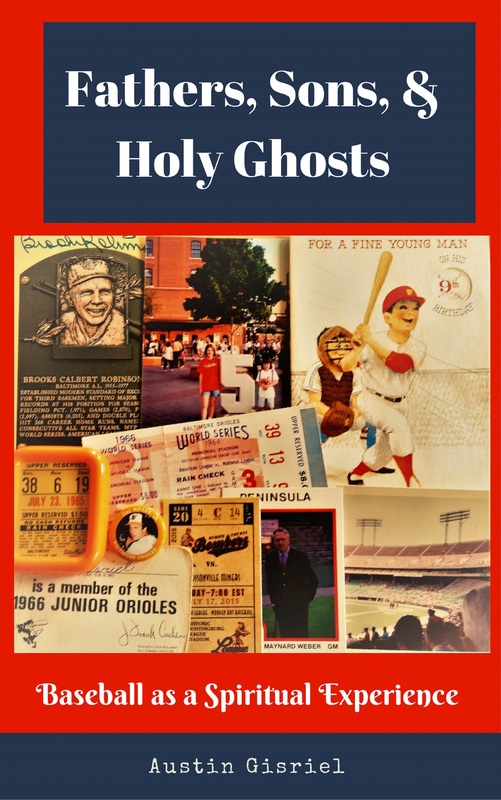 One more prediction: You will love Fathers, Sons, & Holy Ghosts: Baseball as a Spiritual Experience and in celebration of Opening Day, you can download a free copy. This offer is good on Thursday* only, and unlike the predictions above this one is guaranteed or you get your free back. If you read it and enjoy it, please leave a nice review! Thank you. *Thursday is Opening Day in the United States. Oakland and Seattle have already played two games in Japan, which is stupid. One last prediction: Commissioner Rob Manfred will continue to do stupid things to the game. I vote to give Cincinnati back its traditional opener. How a big fat bird can light on the thinnest of reeds. How bright the full moon is. How not bright some people are. The kindness of people never ceases to amaze me. That the most dangerous time to cross any street in America is when the little white stick-figure flashes to indicate that now is a good time to cross the street. 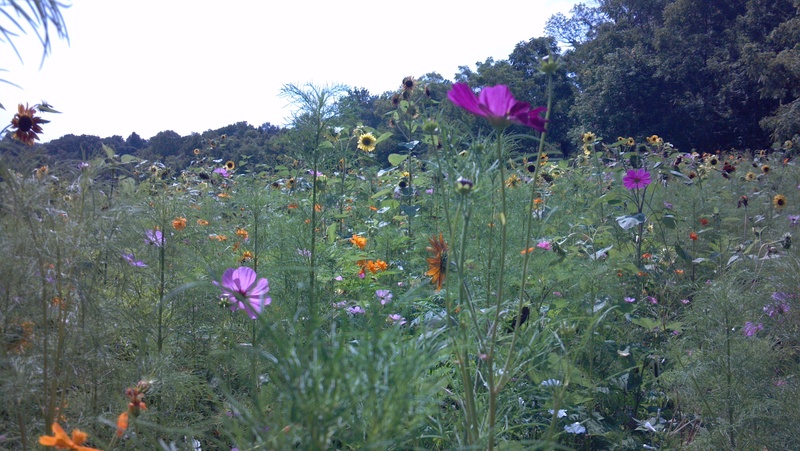 Fields of wildflowers are amazing, too. This one was (and may still be) along the C&O Canal between Williamsport and Taylor’s Landing. It never ceases to amaze me how fast my past is receding into the past. It never ceases to amaze me how fast grandchildren grow, and how quickly they recover when sick! That my heart surgery was a year ago (March 13). The surgery itself has amazed me every day since. One should never cease to be amazed about things in this world. It’s a sign that you’re alive and paying attention. What never ceases to amaze you? As regular readers of this blog know, I enjoy looking through old magazines to see what folks were interested in during any given month and year. This is especially helpful in constructing fictional characters because those old periodicals provide subjects that they might have discussed at the kitchen table or in their favorite tavern. The advertisements can also tell the reader what the popular products were, all of which leads me to Snider’s Catsup. Does anyone remember this brand? 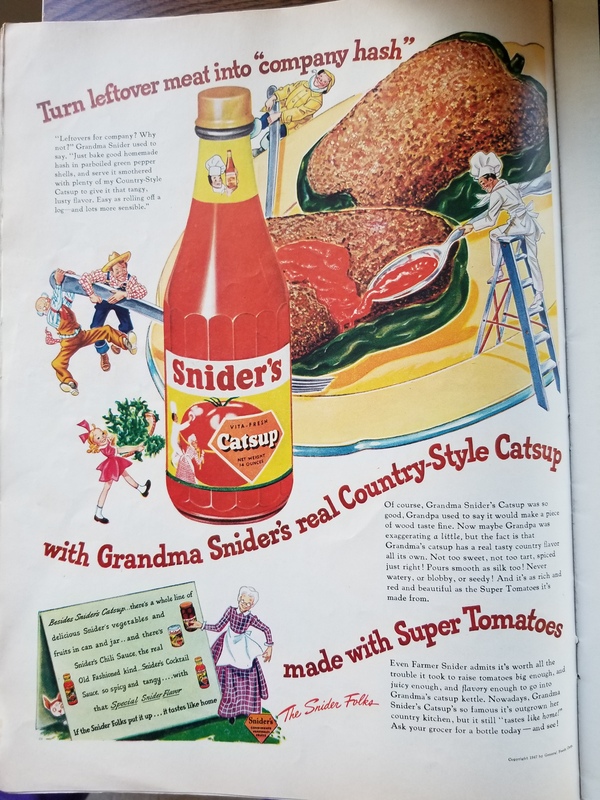 In reading through the February 17, 1947 issue of Life magazine, I discovered a full-page ad for Snider’s Catsup, a brand that I never knew existed. An internet search revealed a television commercial from 1956, meaning that it was still around when I was about to enter the world, yet, as a brand, it seems to have just disappeared. The photo caption of one of its shipping crates, posted by the National Museum of American History, states that the company began as the T. A. Snider Preserve Company of Cincinnati, Ohio in 1879 and was one of the largest catsup makers by the turn of the 20th century. A Pinterest page indicates that Snider’s was also manufactured in Marion, Indiana. An on-line article on the television show Mad Men lists Snider’s as a brand that existed at the time the show opens, adding that it was bought and sold by the Bird’s Eye division of General Foods, which apparently had already happened by 1947 when the Life magazine ad appeared, because “General Foods” appears in very small print in the ad itself. Further searching on the Internet reveals all kinds of ads and bottles for sale on e-Bay, but no real information on the company or what happened to it. Therefore, I’m calling on all readers to become detectives! First, does anyone remember Snider’s Catsup? Second, I know I have at least one reader each in Cincinnati and in Indiana: Do you all have any local information on Snider’s? I’d like some company as I dive down this catsup rabbit hole! I was surprised by how hard Frank Robinson’s death struck me. I’m sure that many of you, even those casual sports fans, are aware of the news given that Frank had a 21-year Hall of Fame career, and was baseball’s first African-American manager. Baseball players have life-cycles. They begin as rookies, then reach their peak. Eventually, their skills deteriorate, and they are replaced by the next generation of players. They go into coaching or the television booth, where the home runs get longer and the stories get funnier, and eventually, the inevitable end that befalls us all, befalls them. I know this as an adult, but it was not the adult in me that received the news. The reports on Robinson featured various clips and photos. There were Frank and Brooks Robinson joking with one another, both young and in their prime. In the background of one photo stood Mark Belanger, who died at age 54. 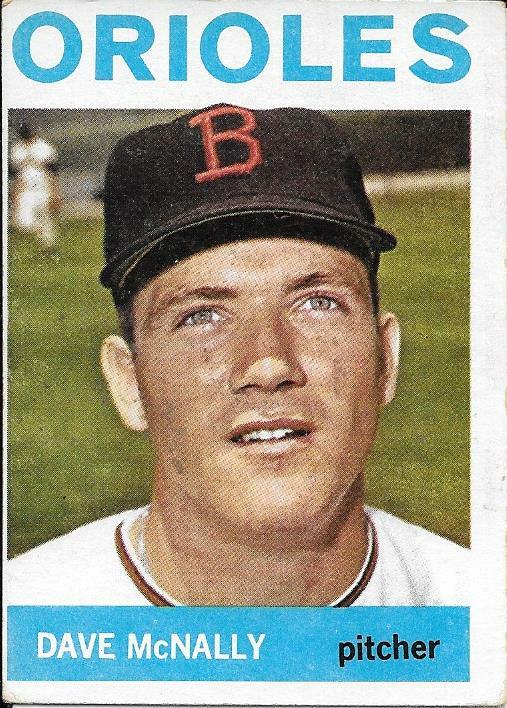 There was Paul Blair, whom I saw hit a homer for the only run of the third game of the 1966 World Series, and who died the day after Christmas in 2013. Curt Blefary, whose 22 home runs netted him the American League’s Rookie of the Year in 1965—his ashes were scattered in Memorial Stadium before they tore it down. Curt Motten, Elrod Hendricks, Mike Cuellar, Pat Dobson, Earl Weaver—all gone. And Dave McNally: I never think of him, but what I think of his 1964 baseball card, looking so young and just a little lost, like a kid. It was my 9-year old self who pushed his way through all the adults that I had ever been, and stared at the television, which was tantamount to looking down on Frank’s casket, wherein a little piece of himself lay. Dave McNally in 1964 when he was 22 and I was 7.
look back: Something might be gaining on you.” We know what that is, and it has now overtaken Frank Robinson, but the children who we were, and who remain in us don’t understand it. That’s why they mourn so sincerely, and so deeply, untainted as they are by social conventions. At 9 years old, almost all of life is in front of us. At almost 62, a large chunk of life is behind me, and now, so too, is Frank Robinson.